On Our Shelves Now. Call store for up-to-the-minute availability. Kerala, 1993: Eight-year-old Birendra suddenly loses his mother, but he refuses to believe he's an orphan. He's certain that his mother's twin sister, the troubled but winning Nayana, will come for him all the way from West London. But when the letter informing Nayana of her sister's death goes missing, numerous lives are forever altered, and Birendra is set adrift. Madeline, a Los Angeles native and interior designer to the stars, is floundering in her personal life. In the aftermath of a failed attempt to get pregnant, she flies to India where she finds herself face-to-face with Birendra. In a moment of sudden certainty, she decides she must adopt the boy in order to save them both. As Nayana falls deeper into crisis at work and in her marriage in London, Birendra learns to make himself at home in Los Angeles, forging an especially close bond with Madeline's younger brother, Edward, who begins to worry that his sister may have met her match in motherhood. When he learns of his adopted nephew's family in London, Edward is faced with an impossible choice. If he can find Nayana and reunite her with her nephew, should he? Even if in doing so he would risk unwittingly setting the two women who love the boy most against each other? Written in stirring prose, and infused with keen emotional insight, Bindi is about our search for family and for home, and an exploration of the ways that loss and longing can be converted into hope, connection, and love. Paul Maisano is a graduate of the Iowa Writers' Workshop, where he was the third-year McIntyre fellow. Bindi is his first novel. "As the novel moves between Los Angeles, London and India, Maisano shows how loss and longing can be converted into hope, meaningful work and love. His beautiful prose, his immensely sympathetic characters and the wonderfully dramatic story he tells, make BINDI a novel in which many readers will find a home." "Maisano boldly crosses cultural boundaries with a sure touch and empathetic style. 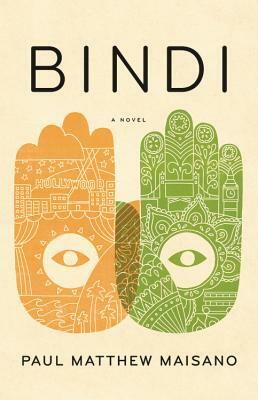 There is a stark authenticity here that delves deeply into all the vulnerabilities of a child seeking a home while capturing the dilemmas of adults facing choices that offer no clarity.... [Bindi] is essentially about good people coming to terms with the many dimensions of life and love, acceptance and peace." Looking for a used book? We have tens of thousands. Call the store at 415.387.2272 and we'll check the shelves for you.